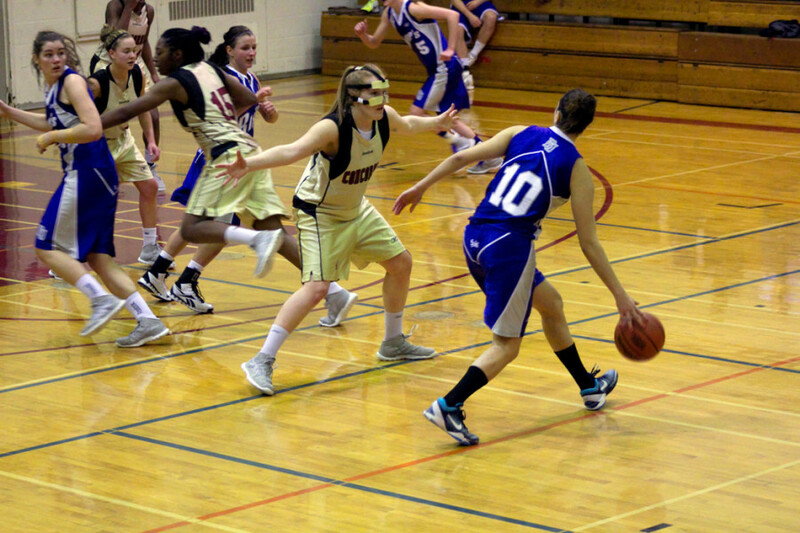 A strong first period is all it took for the Concordia Stingers women’s basketball team to put last Thursday’s game at the Concordia Gym away against the Bishop’s University Gaiters. “At times we played very well but we weren’t very consistent,” said Stingers head coach Keith Pruden. One reason why the Stingers had a good night is because point guard Ashley Clarke was on top of her game, scoring 15 points in the first period alone. 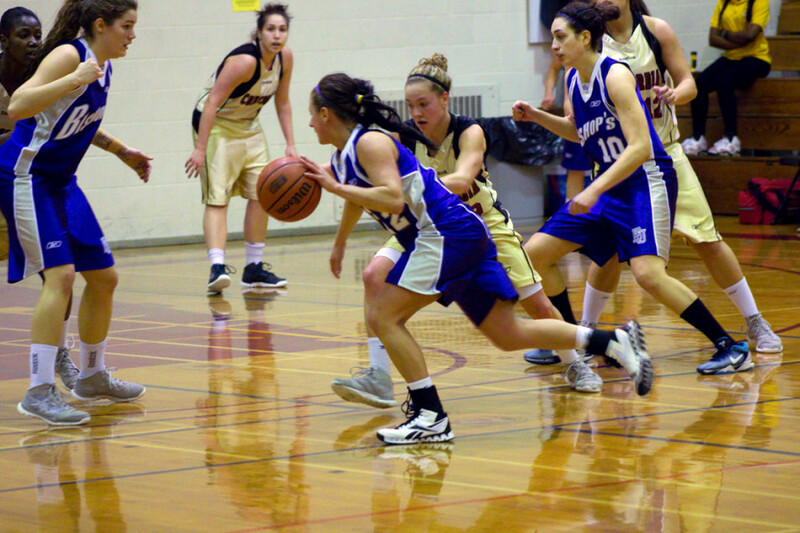 “Basketball is a game of runs, and they’re a team that had more runs than us,” said Bishop’s head coach Alexandre Perno about the Stingers. Another reason is that the Gaiters have been plagued by a string of injuries at the beginning of the season, ultimately resulting in a winless record this year. “Even if we prepared, there’s a lot of people that are out of position,” said Perno. Nonetheless, the Stingers took their foot off the gas for the remainder of the game. Their mistakes allowed the Gaiters to press hard in the following periods—scoring one less point than the Stingers in the second and third periods, and three less in the fourth. “The last week or so we’ve been sloppy with the ball and it showed tonight,” said Pruden. That sloppiness appeared in the form of a 34 field goal percentage and 16 turnovers by the Stingers in Thursday’s game, something Pruden warns against going into next Wednesday’s semifinal over the Université du Québec à Montréal Citadins. “We’ve got to hold the turnovers to under a dozen a game. Otherwise you’re giving teams quality opportunities to score,” he said. The Stingers host UQAM on Wednesday night for the Réseau du sport étudiant du Québec semi-final. Tipoff is at 7:00 p.m. Should they win the game, they’ll take on either McGill or Laval at Bishop’s Saturday afternoon. That game gets underway at 2:00 p.m.